The Pleiades are open cluster in the constellation of Taurus. It is the best known open cluster in the northern night sky. And it is most popular cluster in Japan. The cluster is dominated by young blue stars. There are a lot of dust in the cluster. It forms faint reflection nebulosity around these bright stars. 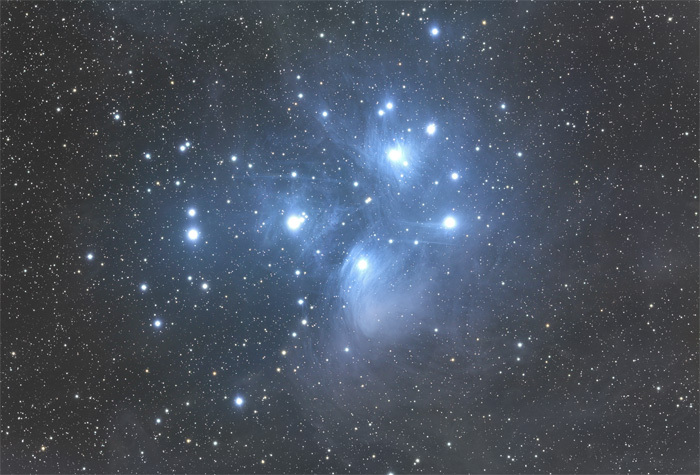 Here is a link of larger picture of Pleiades.